A vehicle for sonic mischief. The most fun an individual can ever associate with a minivan. Well, except for that one time in high school. You remember. Used in a Band Bio. The sound of rock, reggae and Latin colliding with 90’s ska-punk, minivandal is horn-infused, high-octane party-machine! Although their name (and ride of choice) might not be considered “sporty” by some, it comes equipped with heated guitar solos (Justin Schumacher), two horns (Jessica Lipoth, Ben Fortosky), and an “extreme” keys/bass/drums system (Cameron Baribeau, Emmett Fortosky, Nathan Abramyk). Trumpet player Ben Fortosky drives the band, adding lead vocals and extra guitar to the front-end. Whether they’re on the road or tearing up a stage in their home town of Saskatoon, minivandal’s mandate is to get any crowd moving. Their music is, after all, designed to be able to shift a party into overdrive in record time. The Saskatoon-based band has had the privilege of sharing the stage with notable Canadian acts The Steadies, Johnny Don't, Skaravan 1969, The Dirty Catfish Brass Band, and K-Man & The 45’s, as well as international touring acts such as Moon Hooch. In 2018, minivandal released their full-length debut album,“Turn Left Here”. Independently recorded and self-produced over the course of a year, the album's eleven original tracks provide a thrilling ride for the listener from start to finish. Take the record for a spin to find out just how much punch a six-piece party-band can pack! The album’s first single ”Did I Stutter" was recently featured on Rock 102.1 FM's Hometown Rock show in Saskatoon. Other tracks that have hit the airwaves include “Above Average Addiction,” “Friendly Fire,” “Back On Me,” and “Cruise Control,” all of which have been featured on the Canadian show Ska Party Radio. 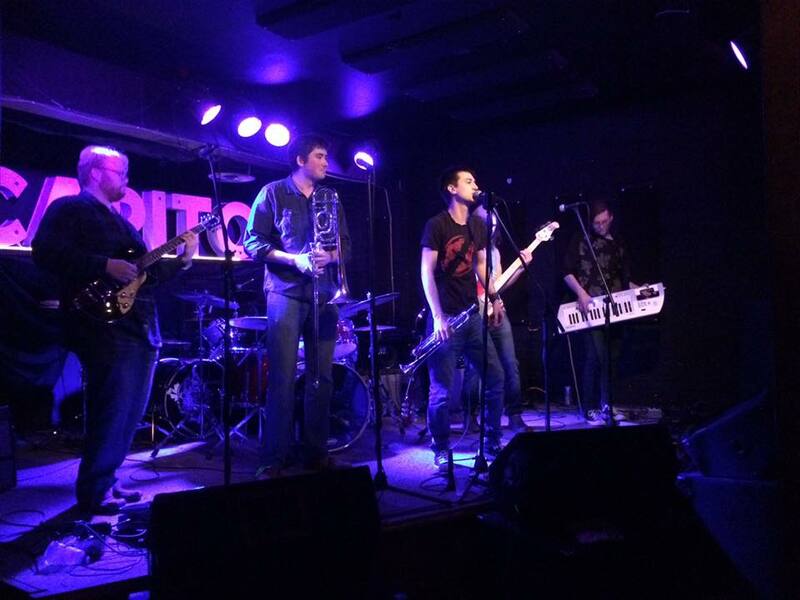 The band has also found its way onto playlists from the likes of SaskMusic, CBC’s Taron Cochrane, and Ska-Punk Daily. Most recently, the band released a music video for “Cruise Control,” filmed by Saskatoon’s own Prehistoric Productions. Always gearing up for more, minivandal is currently in the studio recording brand new material for summer 2019, with tour dates to follow! Buckle-up and prepare to party!